Ben Marks recently wrote Rockin’ at the Rollarena, Pre-Summer of Love for Collectors Weekly. Take a wonderful trip to the East Bay during the 60’s with Bill Quarry and his most famous music venue Rollarena. 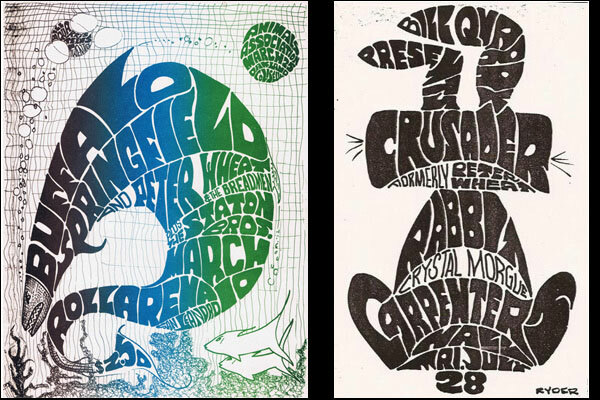 This story features lots or great gig posters including the two pictured about by artist Don Ryder. If you're a fan of Rock Art, then you've come to the right place. Feel free to join the discussion by leaving comments, and stay updated by subscribing to the RSS feed. Enter your email address to subscribe to The Rock Poster Society website and receive notifications of new posts by email.